When it comes to wily characters who are experts in self-preservation, there are fewer who can boast the same mental fortitude and cunning that Game of Thrones character Tyrion Lannister manages to muster. The "half-man" isn't just a cunning linguist who can charm the pants off a bunch of barbarians into joining his cause and even fighting for him. He's also equally adept at using his family resources to bailing himself out of sticky situations, along with his wits. It's pretty evident that George R. R. Martin has a soft spot for the character, even though he hasn't had it easy. In both the books and the show, Tyrion's face gets mangled. He effectively loses his standing with the Lannister family, gets duped into thinking that the love of his life really didn't care for him and was just in it for the money, and his close relationship with brother Jaime Lannister is pretty much entirely destroyed. But through all of that, he persists and manages to join forces with none other than Daenerys Targaryen. 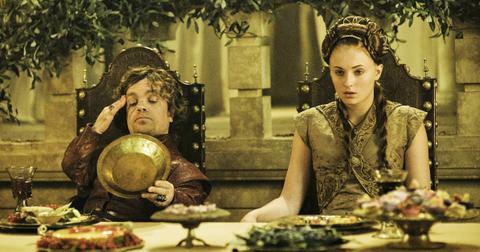 One would finally assume that Tyrion is among friends who have his best interests at heart. 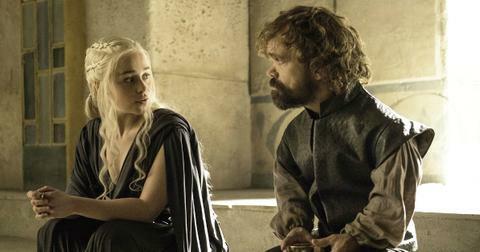 Is Tyrion going to betray Daenerys? An obscure, but well-composed fan theory provides some thought-provoking possibilities, all deeply rooted in past experiences for the characters in the both the show and novel. 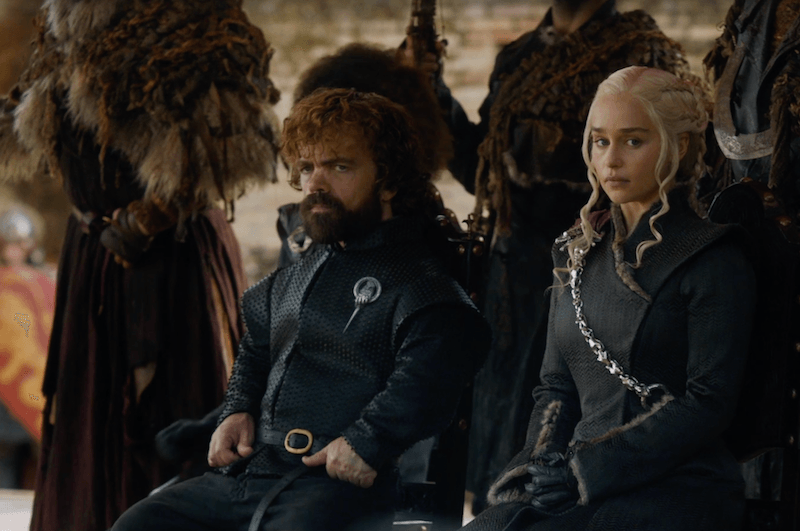 The TL:DR of this particular hypothesis is that Sansa Stark isn't too keen on Daenerys taking the iron throne, and that puts Tyrion in a weird position, since he will more than likely be forced to side with either the Targaryens or his own sister. The theory supposes that Tyrion will be saved by Sansa Stark (as he saved her from the wrath of Joffrey early on in the series) and then he will be indebted to her. Sansa, now a "master" of court who knows how to play the political game after learning from the best of the best (Mr. Baelish, RIP), will then use Tyrion to turn against Daenerys and stop her from taking her place on the throne. While redditor Enervata does make a compelling argument, there are others who don't believe that Tyrion will ever betray the Mother of Dragons for a number of reasons. The first being that they don't think Tyrion has that much much loyalty left towards his Lannister heritage — he did crossbow his father to death while the old geezer was sitting upon the porcelain throne. Plus, there's been a lot of discussion and debate as to whether or not Cersei and Tyrion hate each other, with a lot of compelling evidence and references to both the series and books that prove Cersei wouldn't really mind seeing her dwarf-brother dead. If that's the case, which it seems like it is, Tyrion's probably not going to feel some sort of way for fighting against Cersei, someone he knows wouldn't care if he lived or died. The shot of Tyrion sulking outside the door of Jon and Daenerys' room as the two of them were getting it on led many to believe that the Lannister has feelings for everyone's favorite neighborhood Dragon Queen. There's also that bit of cheery advice he offered Dany after she broke it off with Daario Naharis: "He wasn’t the first to love you. And he won’t be the last." Was that a hint towards his feelings for her? 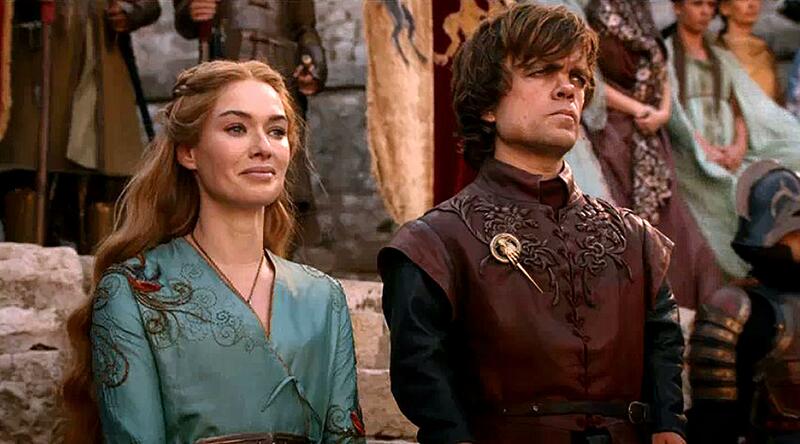 Then there's that biting comment Cersei spewed at Tyrion about Daenerys, that was a mean-spirited callback to Shae. She said the following after Tyrion asked her why she wouldn't call a truce with Dany: "I shouldn’t be surprised, I suppose. She’s your kind of woman, a foreign whore who doesn’t know her place." Sure, love drives us to do crazy things, but hurting the person you love probably isn't the best way to go about winning over their heart. As interesting as this all is, it's really just speculation until April 14th. I can already hear the intro theme in my head.